In the year 1976, the Lord spoke to a young man by the name of Christian Harfouche, who had migrated to America with his family as a boy, following a vision, and called him into the ministry through Luke 4:18 and 19. 18The Spirit of the Lord is upon me, because he hath anointed me to preach the gospel to the poor; he hath sent me to heal the brokenhearted, to preach deliverance to the captives, and recovering of sight to the blind, to set at liberty them that are bruised, 19To preach the acceptable year of the Lord. Over the next few years, Christian began to preach the Word, flow in the anointing, and see miracles manifest in his life and ministry. It was then that he met a young woman named Robin. Crippled from the waist down in a freak accident, 23 doctors said she would never walk again, but in that gathering the night that they met, God miraculously healed and restored her body through his ministry, calling her to preach the Gospel as well. Apostles Doctor Christian and Doctor Robin Harfouche have since preached the Gospel to untold masses of people all over the world, bringing healing to the sick, deliverance to the blind, and salvation to the lost. In the year 1990, the Lord came to Doctor Robin as she sat in a plane returning home from the mission field to see their two young children, and in an audible voice delivered to her a divine commission to raise up an army of miracle workers: powerful believers, united, courageous, and walking in Christ’s supernatural dominion. 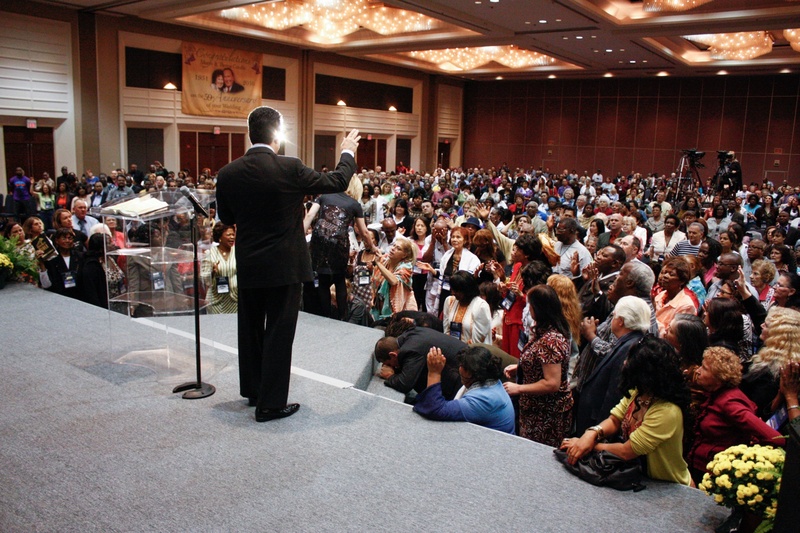 It was by this commission that the International Miracle Institute opened its doors in 1994 and the body that would become the local headquarters of the Miracle Faith Apostolic Global Church began, and by this commission, that the ministry would continue to travel the nation and the world ceaselessly, bringing a Word of revival, an atmosphere of miracles, and the empowerment of the IMI material that would allow any Christian, regardless of their location or occupation, to learn their identity in Christ, and receive His power for them to live a victorious life. 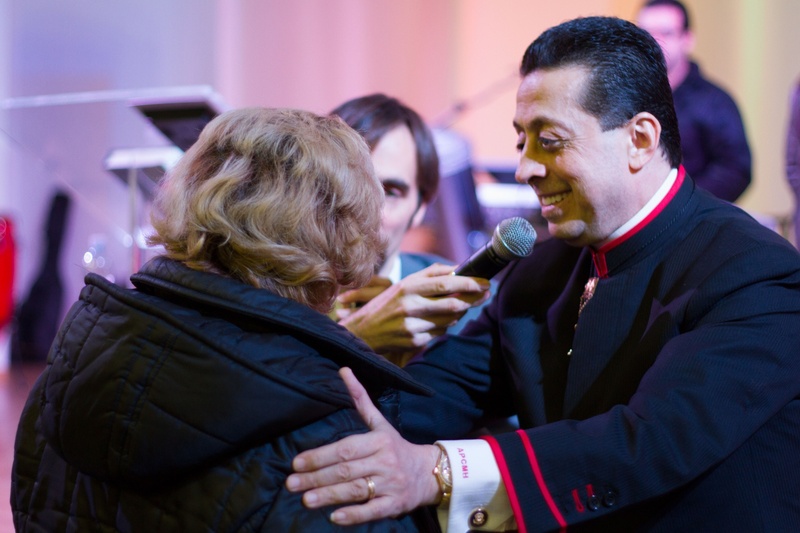 Hundreds of supernatural extended meetings were held across the country and the world, many lasting weeks or months, resulting in thousands upon thousands of miracles and miraculous testimonies. The International Miracle Institute grew at an exponential rate, expanding from an inaugural class of 100 students, to thousands upon thousands of students all over the world. By the end of the 90s, it was estimated that Doctor Christian and Doctor Robin Harfouche had personally laid hands on more than one million people for healing and impartation. An important portion of this ever-expanding outreach has always been the ministry of relief to the needy. In the fall of 2000, God asked Doctor Harfouche, “Can a city be reached in one day?” God, of course, already knew the answer, and in a single day, 53,000 people were reached with food for their families, brand new Nike tennis shoes, bikes, and many essential goods, as they stood together in one massive outdoor event. This was merely the beginning of the R.E.A.C.H. initiative, and over the coming years, it would see events held from Texas, to Hawaii, to Guam, to Africa, and millions of dollars in food, toys, shoes, and medical supplies distributed to the needy all over the world. So overwhelming and supernatural was the fruit of the ministry, that in 2004 the Miracles Today program was launched with the purpose of highlighting these incredible testimonies, transporting these true, God-stories of lives saved and transformed, via satellite and cable to the far corners of the Earth, 5 days a week, with a potential viewing audience of billions of people, all the while, maintaining a ceaseless schedule of traveling, ministering, and aiding anywhere possible. 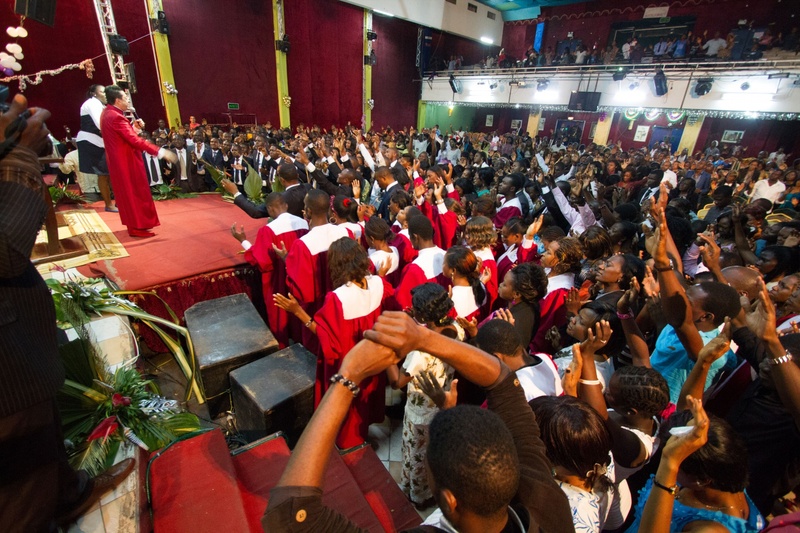 In the year 2008, with more than 100,000 students already raised up by the International Miracle Institute, the IMI Live program was launched: a global online program that made it possible for the Institute to provide scholarships to thousands of people in nations all over the world, and for thousands more, previously unable to connect, to receive the training they were seeking in their own nations. This program exploded with success, going from 1,801 students in 2009 to 25,064 students in 2011 to 100,257 students in 2012, and now has a class of more than 451,438 graduates and celebrants in 224 nations and territories. Thousands of pastors, teachers, bishops, leaders, churches, and bodies of believers all over the world coming into connection with a single unifying Word of empowerment and direction, equipped to best affect their region and their nation. There are now members and students of the Miracle Faith Apostolic Global Church and the International Miracle Institute in every nation of the world, receiving the training and impartation that they need to change their life, their family, their region, their nation, and the world, and the Apostles Doctor Christian and Doctor Robin Harfouche continue to travel the globe with their team, as well as Rev. John and Christie Harfouche, bringing an impartation of the miraculous power of God, and an infilling of the Word to raise up believers to become champions in the Body of Christ. 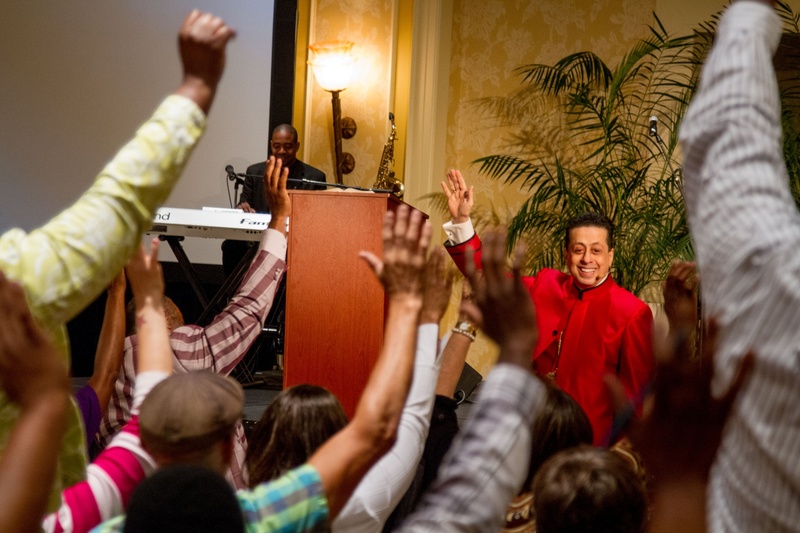 Doctor Christian Harfouche is a modern day apostle and prophet to the nations that has invested over 35 years in training a generation of supernatural believers through the living Word and the activity of the Holy Spirit. 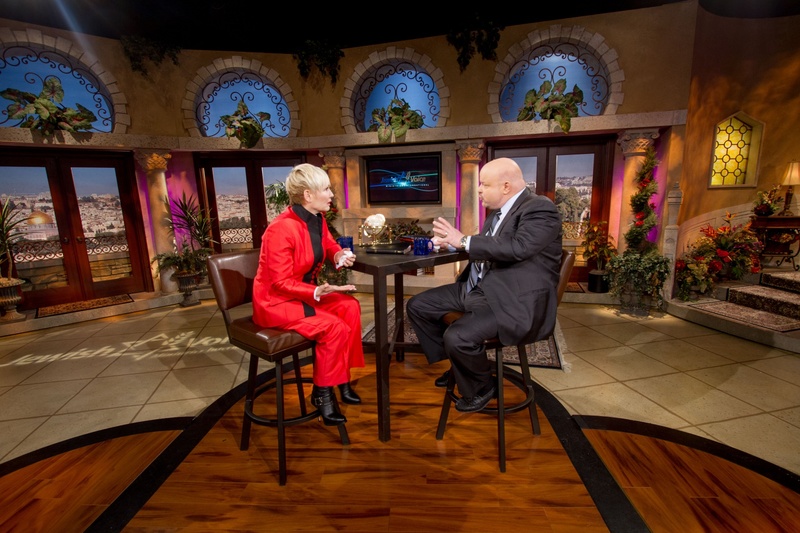 Doctor Robin Harfouche is a powerful pioneering woman of God that is respected worldwide for her unparalleled testimony and demonstration of the power of the Lord. Christie Amira Harfouche has been a minister of the Gospel for nearly the entirety of her life. She is Pastor of Miracle Faith Apostolic Global Church, a published author, anointed singer and songwriter, and respected teacher and preacher of the Word. Rev. John Harfouche is a young preacher of the Word of God who believes that every word you speak, every action you take, and every means and medium available to you can be a used as a method to preach the truth of the Gospel. Living the first century faith, in the twenty-first century.